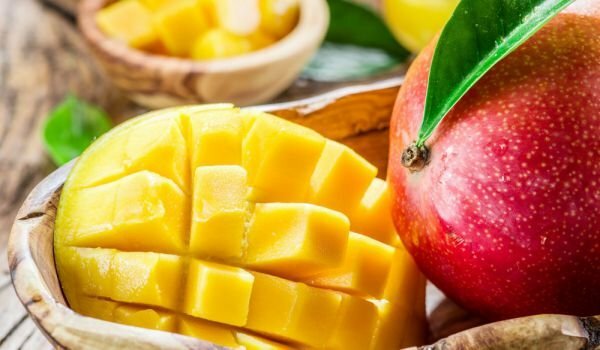 Why mango is the most consumed fruit in the world, July 21 is celebrated the day of this exotic fruit. On this occasion, we share with you some benefits of the juicy natural gift. Just a few decades ago mango was considered one of the most exotic fruits that did not even sell on Bulgarian markets and shops. – It is interesting to mention that the curry known as spice is also made using the fruits of the mango, but only when they are unripe. The Mango is deeply rooted in the culinary industry, especially in the East Asian countries. Various and delicious purees, sauces, creams, sorbets are prepared from it. Sweet and jam jam has a unique flavor. 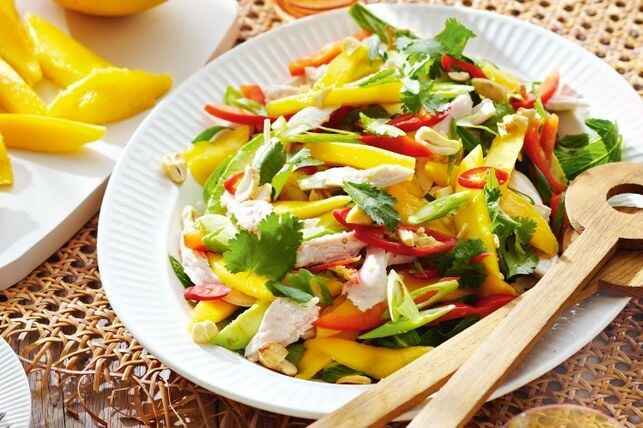 Mango is often added to a variety of salads or meat and fish dishes. Mangoes in India make delicious sauces and rusks. The Indians pay special tribute to this fruit. They believe the mango is good luck, so people in India decorate the doors of their houses with mango leaves tied together for the holidays. beneficial vitamins, minerals and trace elements make mango a great healer. Mango has been shown to improve the activity of the kidneys and the gastrointestinal tract. Huge amounts of vitamin A protect the skin from harmful external influences and keep it fresh and smooth. In addition, regular fetal consumption helps strengthen the walls of the blood vessels and protects against cardiovascular disease. A number of studies indicate that mango normalizes blood pressure. The mango does not contain saturated fats and cholesterol, which makes it an excellent weight-loss assistant. There is even a mango diet. The fruit has excellent satiety properties, but it should not overdo it because it is rich in carbohydrates. Mango juice can be mixed with various other fruit and even vegetable juices. Fruit fluid has a slimming, refreshing and diuretic effect. Suitable for cardiovascular diseases, mental and physical fatigue, malnutrition, liver and kidney disease. It has the ability to enhance appetite. It has also been shown that mango contains substances that protect the body from infection with listeriosis, scientists have found. Listeriosis is a disease of mammals and birds that affects their nervous system or internal organs. The infection with it is through food of animal origin and vegetables. The tannin compounds, which are contained in grape seeds, also block the various pathogenic strains of the bacteria, including lysteria, a potentially dangerous bacteria infecting the meat.